It was prickly, slimy, and had no backbone or eyes. It used its five spiny arms to cling to the sides of a muddy river bank, where it hunted by pushing its stomach out of its mouth, engulfing its prey, and dragging the liquefied remains back inside. This was not a fairy tale troll or sea monster from Greek mythology. It was the Derwent River Seastar, and now it’s extinct. 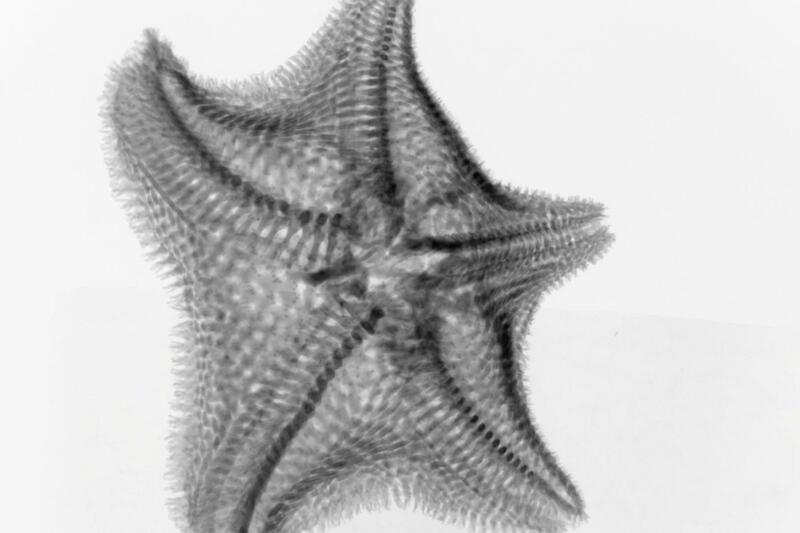 This tragedy is the bitter-sweet conclusion of a collaboration I worked on with Museums Victoria using X-ray computed tomography (similar to a CAT scan) to formally identify the Derwent River Seastar as a unique species. Seastars, or starfish, belong to a huge group of marine invertebrates called echinoderms that also includes sea urchins and sand dollars. These animals have pentaradial symmetry, meaning that their bodies branch out into five distinct compartments, or arms, surrounding a central disc. Over 1,000 species of echinoderm live in Australian waters, from the rocky shorelines to the deep ocean floor. 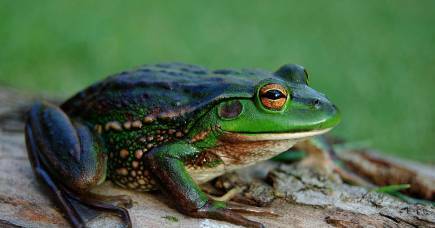 These creatures play important roles in their environments by providing food for humans and other animals, as well as serving as a model system for research in developmental biology. Some echinoderms can also cause major ecological damage in large numbers, like the outbreak of crown-of-thorns starfish currently gobbling up swaths of the Great Barrier Reef. The Derwent River Seastar, Marginaster littoralis, was first collected on the shore near the Tasman Bridge in Hobart in 1969, but its status as a species has since remained in question. Even its discoverer, Alan Dartnall, thought it might be related to a different group of seastars called asterinids, particularly one introduced from New Zealand in the early 1900s - the New Zealand Common Cushion Star, Patiriella regularis. Aside from its discovery under the now-demolished Powder Jetty, the Derwent River Seastar was only ever seen at four other sites. As the river’s banks were degraded by development in Hobart and pollution from industry and humans, the numbers of Marginaster littoralis declined dramatically. Meanwhile, the introduced New Zealand seastar became more abundant. Targeted surveys over the next few decades failed to find the Derwent River species, and by 2009 it was listed as critically endangered. 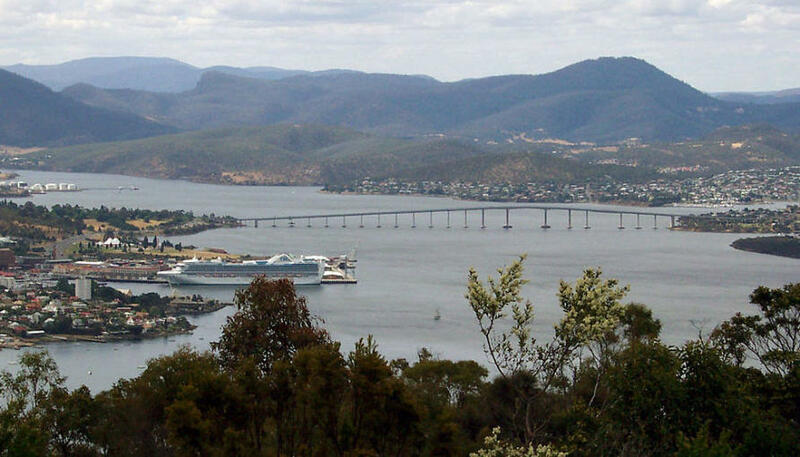 Fast-forward to today, and the Derwent River Seastar is gone. 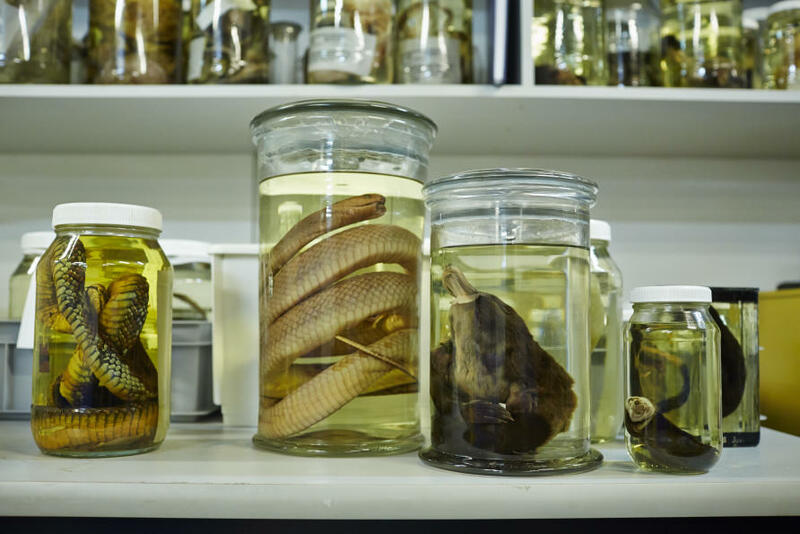 No new specimens are likely to be found and, until recently, we weren’t even sure about the identity of the ones that we have. The holotype specimen, meaning the one that the species description is based on, is held in the Tasmanian Museum and Art Gallery collection. It looks noticeably similar in colour and shape to the New Zealand Cushion Star, and was even found living side-by-side with them at the same locality where the holotype specimen was found. This specimen was never examined internally by removing the outer skin, which is necessary to determine if it is a separate species. Furthermore, many of the collected specimens had external features that appeared intermediate to the two seastar types, indicating that they may in fact have been hybrids, or crossbreeds of the two species. Later attempts to extract DNA from individuals preserved in formalin failed, leaving the status of this enigmatic creature in doubt. Until now. Like thousands of other rare objects in museum collections, the holotype specimen of the Derwent River Seastar is too precious to physically cut apart. So how can we look inside this individual to see if it is indeed a unique species? A few months ago, Senior Curator of Marine Invertebrates at Museums Victoria, Tim O’Hara, approached me with a question: could we use X-ray computed tomography, or CT, to solve the decades-long mystery of the Derwent River Seastar? CT is an advanced imaging technique that combines hundreds of X-rays of an object taken over 360 degrees rotation to create a virtual three-dimensional model. The outer layers of the specimen can then be digitally “removed”, or peeled back, to reveal the inner structures. In human medicine, where it’s called a CAT scan, 3D images are typically used to detect tumours or other abnormalities that are difficult to see in a single plane. In the School of Earth Sciences at the University of Melbourne, we have a GE Phoenix Nanotom microCT, one of the most advanced CT machines in the world. This scanner has the ability to see through the densest materials, like metal ore-bearing rocks, or specimens as thin as a tiny aquatic worm. The resulting 3D models can reveal structures with a resolution of less than one micron per voxel – that’s less than the width of a human hair. In biology, and in particular palaeontology and zoology, CT is increasingly used to describe, compare, and identify new species, with resulting “cybertypes” standing in as virtual avatars of the physical specimens. 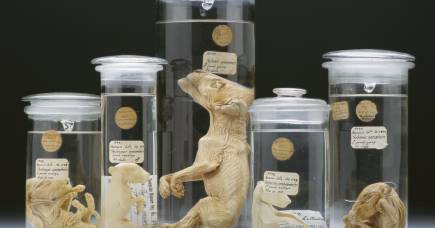 I previously used CT to visualise the skeletons of preserved Tasmanian Tiger (or thylacine) joeys, and this technique is being used worldwide to allow non-invasive, ‘virtual dissection’ of precious museum specimens. So we decided to CT scan the holotype specimen to see what secrets lay inside. Our results revealed the presence of internal struts that strengthen the body, making this animal an asterinid just as Dartnall originally suspected, but could not prove at the time. 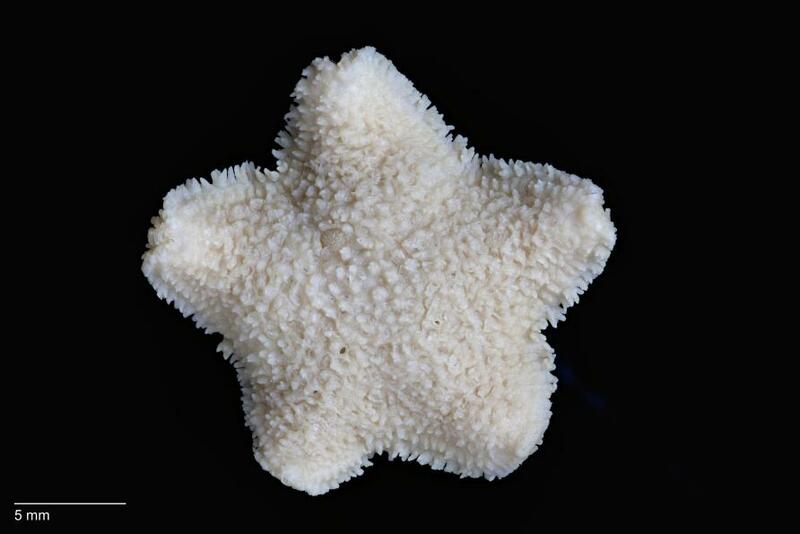 We also CT scanned a similar sized specimen of the New Zealand Common Cushion Star for comparison. In contrast to their similar external appearance, analysis of the internal structures allowed us to clearly distinguish between the Derwent River local and its invasive cousin. The Derwent River Seastar has a new name, Patiriella littoralis, and it’s Australia’s first recorded extinct marine animal. 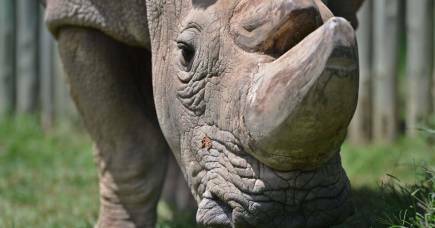 Of course, this isn’t a happy ending but it does showcase the power of CT technology for interacting with rare and precious specimens. And that’s a good thing, because museums are full of them. The 3D digital seastar models are publicly available here as a resource for current and future researchers.